WordCamps are locally focused WordPress conferences that bring together local communities and celebrate the cool stuff they’ve done with WordPress in the last year. In many cases, it can be exciting to bring in visiting speakers from out of town to shake things up. Speaking at a WordCamp is considered a volunteer contribution to the WordPress project, just like submitting a patch to core, answering questions in the support forums, or organizing a meetup (or a WordCamp! ), as evidenced by the icons on WordPress.org profiles. Just as developers donate hours of time they could have been billing clients instead of writing patches for core or working in the support forums, if someone chooses to travel to speak at a WordCamp, the expectation is that they’ll cover their own expenses. In such situations, there are more cost-effective means to involve remote speakers in events. Many WordCamps have used Skype and Google hangouts to include out-of-town speakers without incurring travel costs if they don’t have a local expert to speak on a topic the community really wants to hear about. For many WordPress professionals, traveling to speak at a conference is a legitimate business expense, and presenting at a WordCamp can raise the speaker’s profile in the community and promote their business. Events like SXSW, DrupalCon, and Open Source Bridge do not cover speaker travel, and following those examples has seemed to serve WordCamps quite well. 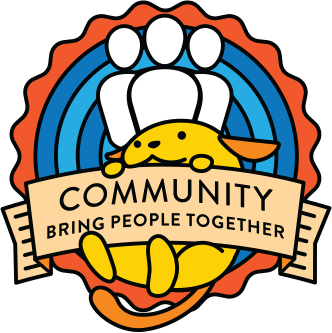 WordCamps are locally-focused, so there’s an inherent disconnect between paying for people from out of town to speak at a WordCamp and that emphasis on local community. Local experts are assets to their communities all year round, whereas visiting speakers don’t typically serve as ongoing resources once they have returned to their home cities. We have experimented this year at WordCamp SF with a program that will provide travel assistance to more than 50 contributors and attendees so they can participate in the event, with assistance based on a combination of involvement in the WordPress project and financial need. Once we assess the results of this experiment, we hope we can work out a program to help overcome financial barriers to participation in WordCamps. That said, a WordCamp’s primary focus is on connecting local community and lifting up local experts, rather than blowing our budgets on flying people around the world when technology can get them there so much faster. If you have a suggestion that will further the conversation on this topic, please share your thoughts in the comments. I will plan to discuss this issue with contributors at the WordPress community summit at the end of October; that discussion will include WordCamp and meetup organizers from around the world as well as data from the travel assistance program. I don’t think paying speaker expenses would necessarily make a WordCamp any better. Many great speakers are willing to travel to WordCamps on their own dime or as a business expense. I also feel those speakers are also more dedicated to the spirit of WordCamps and will participate more in the activities and try to get more out of it. I know WordCamps are locally focuses, but I still think it is important to try to attract some speakers not from your area. Attendees aren’t going to want to only see the speakers which you probably already have coming to your local meetup. They want some fresh ideas and may get excited for a few two out-of-town speakers. I think the goal is to find a good balance. I don’t feel paying expenses would help either way. I feel the best way to attract good speakers both locally and non-locally is to interact with others in the community and continue to build your local community as a part of the overall WordPress community. I agree with doing more to find fresh ideas in the local community. I still think a select number of outside speakers can add new ideas to your community and get people more excited about the Camp. I think there should be a balance of sorts. I’ve strived for a good majority of local speakers and if a decision is between local and non, the local person will win out for selection. Sure, and I think that 80% local / 20% out-of-town ratio that we ask everyone to try for meets both needs there — celebration of local achievements/expertise in WP as well as some guests with some specialized knowledge/experience to mix things up a bit. The Paris WordCamp team has defrayed some of the speaker expenses (mostly out-of-town freelancers) for its first three edition (meaning lowest-fare train+premium hotel). This was due to a miscommunication with Central: we thought the rules were more like guidelines, and felt we had to defray speakers in order to get a good roster (even though several known out-of-town freelancers came to our earlier, non-defraying barcamps). We plan on following Central’s non-defrayment rule for the next editions. I have to make a huge mea culpa when it comes to Paris — I totally missed that they had budgeted for speaker travel in past years, otherwise I’d have clarified with you guys WAY back in the past, because this has been the expectation for a long time, as many WordCamp organizers will tell you — but I’m glad we clarified for events moving forward. Just a quite note: “this has been the expectation for a long time” using different language here and in future communication (unless it really is only an expectation, and not a rule) could help clarify things. In general, expectation/guideline is basically a rule that has some flexibility if there’s a compelling reason to not follow the guideline. So if someone wants to do something that goes against the guidelines, the organizer would need to talk to WC Central first. Often the way to get people who identify as women speakers at WordCamps is to bring them in from out of town, and the cost of travel is one of their barriers. I think every WordPress community in the world includes women doing cool stuff with WordPress, so when I see all/most of the women speaking at a WordCamp are out-of-town speakers, it makes me wonder what the local speaker recruitment looked like. I don’t think having the same 5-6 (wonderful, fabulous) women speaking at WordCamps is the solution to encouraging diversity in our programming. Women on the organizing team, and specifically being involved in speaker selection is my number one request. I personally think every org team should have to include people of more than one gender, but Andrea thinks people would get really angry if we said it was required. Jen, I’m with you on having both genders on the planning team and on the speaker selection committee. But if not, perhaps organizers can look to something like http://womentalkdesign.com/ as a source for women speakers. Or, a similar list could be created for WordPress women speakers? I agree with Dustin’s comments that paying speaker’s expenses wouldn’t make a WordCamp any better. And I like his comment about finding a good balance. Bringing in some outside speakers will encourage people to attend, who might not attend if the same local speakers are presenting. But if the outside speakers account for 40-50% of the speakers, I would argue it’s no longer a locally-focused WordCamp. This year we will have some meetups and a few more by the end of the year. I’m sure not all local professionals will be able to present their ideas and projects in meetups and will want to talk at WordCamp, these will turn clear, but the presence of speakers from other states is important to bring a different view of what content and we are used to see during meetups. I understand it’s not a good idea to pay expenses to bring someone from the outside to speak at WordCamp, but if they can come on their own are a good reinforcement. The path is to balance things like Dustin and Deborah said. Right, there’s no ban on out-of town speakers, but we ask that you shoot for 80% local and 20% out of town. Not all camps accomplish this, but we do ask you to prioritize finding local community members who can speak at your event. Andrea, just confirming your definition of local speakers (for groups in the US). You’re referring to speakers coming from the WordPress meetup group hosting the WordCamp, is that correct? I believe this should be analyzed for each region. Some places want WordCamp has public who want to know more about the tool, but the region does not have qualified people to speak. An example is Manaus in Brazil, located in the Amazon region. Many users ask for a WordPress event, but there is no speaker in place, would leave five large centers of 6 people to have this event, which is not feasible for Central. Today much of the cost of the speakers strip pocket for the pleasure of evangelizing WordPress, without any help or return it. I know you don’t mean it like that, but in essence this is boilerplate “clients from hell” kind of an argument. 🙂 Exposure! Future work! Don’t get fixated on the “money” thing! WordPress holds free contributions to be enormously important and can be very pushy to make/keep things this way. This has benefits of course, such as keeping costs low. This also can rub people very wrong way, more so people that aren’t “invested” into WP ecosystem. You went and found other events that don’t compensate speakers. Anyone could go and come up with the list of those that do compensate. Simply because that is a different and perfectly valid way to go about it. So while sticking with “free” angle works and achieves goals as stated (low cost, local events), it by definition cuts off opportunities for events that might not be either low cost or local. Which is fine by itself, but I would say makes extremely important to be communicated upfront to (potential) event runners (this posts omitted real situations where this was *practical* issue, not a theoretical one). 1. None of them were “local” (continent, country, country). 2. The expense level is ginormous for my personal budget. I can afford it, but cheap/comped WordCamp ticket is nothing next to plane tickets and hotel. 3. Preparing for the talk and making slides takes considerable resources. 4. Amount of work I got directly out of it (“we heard you speak and would like to hire you”) — none. Did I enjoy it and would continue to attend? Yes. Was it worth it in “promoting my business” way for me specifically? Absolutely not. In no way am I suggesting that getting exposure and promoting one’s business is a good reason to speak at a WordCamp. 🙂 My hope is that every WordCamp speaker is on stage not to further his or her own agenda but to give back to the WordPress project and community. There are certainly lots of conferences that *do* compensate speakers in some way (by paying for travel or paying a speaker stipend), and I think WordCamps have been doing a great job of holding inspiring and successful conferences without doing so. Hey, and thanks so much for speaking at WordCamp(s)! 🙂 A well-prepared talk (and I hope all WordCamp talks are well-prepared) involves a substantial time investment, I agree. WordCamp speakers commit a lot of resources to their contribution to WordPress in the form of a great presentation, and I’m glad we’re acknowledging that hard work on WordPress.org profiles now, like we do for the other ways people contribute to the WordPress project. So why would person not from WordPress community speak at WordCamp? I mean they have nothing to “give back” for. Web development is a big and wide field, there are a lot of people over range of many technologies to learn from. It seems to not have occurred to WordCamps to involve them more, but I have a hunch it might over time. Alas, they are not on the hook to “give back”. And WordCamps aren’t allowed to pay them. Let’s just sit in our bubble and pretend world outside doesn’t exist? 🙂 Is the most important qualifier for WordCamp speaker “free”? We’ve had speakers at WordCamps who might not define themselves as part of the WordPress community (Brewster Kahle and Ethan Marcotte for example) who speak at WordCamps for free and cover their own travel, as applicable. The number of people passionate about open source is not limited to the WordPress community. My hope is that every WordCamp speaker is on stage not to further his or her own agenda but to give back to the WordPress project and community. h/t to @ipstenu for the nudge. This restriction, IMO, is hurting WordCamps and the community. It is predicated on the assumption that the only people worth hearing at a WordCamp are in business to sell something WordPress-related for a profit: theme designers, for-hire developers and developers, contractors, and whatever hosting service. People who contribute but work for firms that aren’t in the software biz, people who work at non-profits or schools or universities, — they’re out of luck and not welcome at WordCamps. Very short-sighted IMO. Picking up or contributing to travel expenses for a speaker doesn’t make it a “paid” contribution. WordCamps should represent the entire local community — not just WordPress professionals — in their program. People who contribute without a business relationship to WordPress are 1000% welcome at WordCamps, and if someone chooses to apply to speak at an event that would require them to travel, technology allows us to include them via skype or hangout. The technology doesn’t help a lot. The talk a speaker gives at a WordCamp is only a part. Speaking with attendees is also really important. I would never do a Skype/hangout as a WordCamp session because it’s then just delivering a talk and go back to what you where doing. I know from own experiences that it is quite hard, even when you are a freelancer doing WordPress stuff. Specially when you want/need to go to a WordCamp oversees. I disagree about technology not helping; I think it’s certainly great to have speakers attend the entire event in person when possible, but I’ve seen some excellent speakers give talks at WordCamps over skype or a hangout, and those talks have been really well-received by WordCamp attendees. Troy Dean’s talk at WordCamp Phoenix this year was one of their highest-rated presentations in the attendee survey, and he joined by Skype. While I agree in spirit with the idea of never compensating speakers for WordCamps, I’m also faced with a situation where I feel almost certain that we are going to need to do it in some fashion for some of our speakers. Hence I think keeping defrayment on the table for at least some situations makes some sense for some situations. Case and point… I’m organizing WordCamp Maui. It’ll be the first WordCamp in the state of Hawaii in 5 years. We want very strongly to include speakers from the other islands in our camp but that necessarily means they need to fly here and probably stay at least one night here, neither of which is a trivial cost to them. Now I have no ambitions about defraying costs for mainland speakers. While US$600 r/t + hotel is a lot, I hope a few can justify coming to speak at our WordCamp simply because they want to. It’s the extended local community in state that I’m thinking about here. I want to make sure those speakers get here and are included in the camp. One of the things our team has talked about is trying to find a way defraying airfare and/or lodging for in-state speakers. We’ve thought about trying to “get around” WordCamp Guidelines/Rules by getting some of that donated in-kind by sponsors. Perhaps getting someone to donate a couple hotel rooms or renting a house for any speakers that wanted to stay in it. I like doing it in-kind over handing over cash, but I’m really not sure what if anything we’ll be able to do. Just to be clear, none of what I said above is “our plan” we still need to get “our plan” approved by WordCamp Central, but these are real issues were talking about that don’t have clear solutions. This might be a good case to discuss at the community summit. In a somewhat similar scenario, in 2012 WordCamp Kenya helped organize a live stream viewing party with the Dar Es Salaam community in Tanzania and then had 3 Tanzanian speakers skype in their presentation to WordCamp Kenya. It was cool because both spots — Kenya and Tanzania — then got to have a WordCamp “gathering” experience but then also got to share speakers from two communities without spending on travel. Especially since the Tanzania community was just starting to try to organize*, it was a neat way to get everyone together and have that WordCamp experience with a minimal planning burden. *Alas, the Tanzania meetup still hasn’t coalesced, but I still have hopes. The problem with the WordCamp Central rules, I think, is that they cater for US-based WordCamps very well, but more remote locations like Cape Town (where I organise our local WordCamp) find it hard to stick to them. Cape Town has the problem of having a large community (400 people at our WordCamp), but a fairly limited selection of quality speakers. Our community is very detached from other countries and we need international speakers to open up the community and make everyone actually aware of what’s going on outside of the country. We also like to make sure our WordCamps are premium events and don’t feel like they’re thrown together using minimal resources (even if they actually are). For last year’s WordCamp we had 3 speakers (out of 10 total) from overseas (Chris Lema, Brian Krogsgard and Maria Scarpello) plus 1 from a different city in our country. We paid for all of their travel and accommodation costs (with the exception of Maria, who had her costs covered by WooThemes). We also had a few other international WP personalities (whose names you will all know) interested in coming to speak at our WordCamp, but we had to turn them down due to budget constraints and a full speaker roster. We’ve got the same situation with this year’s upcoming WordCamp – a full roster with 2 international speakers included and a number of others from overseas who are super keen to speak. I’ve always seen the Central rules as guidelines more than hard and fast rules, but if we really are not allowed to have international speakers and we really are not allowed to pay for their travel then we can’t actually continue our WordCamps at all. We are very isolated in Cape Town – there is no one nearby who can travel quickly to get to us and any travel from overseas is expensive (minimum $2000 from the US) – this makes it impossible for us to continue our WordCamps without getting international speakers and paying for their travel, which are two things that we are definitely not going to stop doing as it would mean that we would be short-changing our community. I *really* don’t want to break away from WordCamp because I love doing things the ‘correct’ way in the community and I love what the Foundation stands for, but if these rules are going to be enforced then we’re going to be pushed away from WordCamp and there’s nothing we can do about it, which would be a very sad situation to be in for me personally and for our community as a whole. Looking to the actual case in Nantes, I see similarities to the situation in Germany in 2012 and 2013 where WP Camps in Berlin took place. Besides the question to refund or not to refund travel expenses we should take a look of what is »local community«. I think this quite different to U.S. where WordPress has a broader foundation of users and a larger critical mass in even larger urban areas. As I did some research recently for a business case which asked about the number of WP installs in Germany I got a look at http://www.cmscrawler.com. Depending on TLD .de or serverlocation Germany we roughly speek about 500.000 installs in the germanspoken market (this includes Austria and larger parts of Switzerland!). With a percentage of 20 – 25 % marketshare within CMS driven sites these are peanuts among 15 million registered .de Domains and compared to a CMS marketshare of 65 % for WordPress in U.S. The community in Germany is simply wider spreaded. Having an event with 200 or 300 participants (as a.m. WPCamps and the latest 2014 WordCamp in Hamburg) from the hole country and even germanspoken neighbours as Switzerland, Austria and Belgium is not »regional« but nothing more than »local«. Situation evolves as within the last years more and more Meetups are founded: http://wpmeetups.de. The largest numbers of participants I’ve heard of are about 30 people with is roughly enough to organize a WordCamp to be one. Living in Munich and participating in a WordCamp in Hamburg nevertheless means an 800 km travel by car, a 5 hour trip by train or a 200 € flight (plus accomodation). I guess this is more or less true for some other countries with comparable marketshares of WordPress and an even smaller amount of users/contributors/… in may be even larger areas which recognize themselves as »local«. While I accept Central’s current vision of the way to build a WordCamp, I am happy that the discussion remains open on the subject, and cannot wait for the result of WCSF’s defrayment experiment and the Community Summit discussion that will immediately follow in order to make things evolve in a way that allows more agility and autonomy for WordCamp organizers. It might all boil down to what’s local, and what’s “out-of-town”. Is it to be limited to the city itself, its province, its region/state, the whole country… or people speaking the same language? While I understand the need to bring together local communities, you just cannot compare a US State-wide community and places where “local” really means “country-wide, and then some”. Do 80% of the Salt Lake City speakers come from SLC, or Utah, or neighboring states? Texas is the size of France, has two WordCamps which AFAIK welcome out-of-State speakers… and as for travel expenses, gas price there is half what it costs in France, and as Sarah Gooding reported, “Americans are free to deduct work-related travel expenses as a business expense from their taxes, French speakers do not share that same privilege”. In that respect, Paris has been more like an incubator/locomotive for the whole country, and then some. We might have been wrong adapting the rules to our reality, but it did us well. I trust following the rules now won’t do us wrong. While the Paris WordCamp seems finally established, the non-Parisian FR communities are still burgeoning, and they still need the presence of “WC Paris-validated” community members to plant their local seeds here and there, and try to make things move. It’s a slow process, and giving them national exposure instead of making it harder to shine a light on “out-of-town” stars feels not like the best way to have the FR community grow and grow. But really, keeping it extra-local is having a narrow view of what a community is. What about a craft-specific community, as the guys from Nantes are trying to build for FR developers (much local Toronto in 2012)? Or even simpler, a linguistic community? For instance, the WPFR non-profit that we set up 10 years ago is not named WP France but WP Francophone, and has been so since inception, purposefully: we try to address all French-speaking users/professionals, and that means people from France, Belgium, Switzerland, Luxembourg, Québec, Morocco, Algeria, Tunisia, etc. There was a need then, and there’s still a need now for most. It’s hard to limit WordCamp X to the city of X in this case. Out-of-town stars would still gladly come I guess, but what about a promising developer/designer/etc. from city Y or Z who cannot afford to come, or an out-of-town expert from a related-but-not-quite-WP craft (for instance “writing on the Internet”) and who would have little incentive to come share her insights? Video chat is nice and all, but it can only work (meaning “fill the room”) for international superstars such as Matt, and I’m the first one to prefer in-the-flesh interaction, both during the conference and during the whole event. Limiting participation to a local, infra-national community means that people are only expected to participate in their own country’s event, if any (and I have a very clear and present example of a long-time hard-working FR community member and Paris potential speaker who feels she therefore have to drop any non-local activity and must build herself an uncertain local meetup/WordCamp in her own country), when the community is so much stronger when diverse people and views mix together. WordCamps are locally-focused, so there’s an inherent disconnect between paying for people from out of town to speak at a WordCamp and that emphasis on local community. From what @andreamiddleton says, I understand “local” meaning a city or town and its hinterland where speakers and participants could commute in from without significant extra costs for travel or accommodation. Maybe we need to leave the past aside for a moment and consider the possibility that for example a WordCamp NYC could be city-focussed and attract 300 participants and 30 speakers, just because WordPress is big in New York; while on the flip side a WordCamp Berlin, Germany, could mean 50-100 local participants listening to 8-12 speakers from their own city, and that’s it. And the very next weekend there could be a WordCamp in Cologne (~600km from Berlin) with probably 20-60 participants and 4-10 speakers from around that city. Those numbers are made up, but they reflect a real scenario where “local” in the sense of city-focussed can mean: significantly smaller WordCamps than the ones we have been seeing up to today in many places. Or in other words: some cities might just have a local WordPress community of $n people, and those might be organized in a meetup already. What’s the point for a local meetup group organizing a WordCamp when they cannot have (or only can have 1-2) speakers from outside of their own local group? Practically none, so they probably just wouldn’t do it. Which isn’t necessarily good or bad, it kust is what it is: a probability. I countries like France, Germany (and many others I’m sure) where there is a relatively strong WordPress community, but it is spread all over the country, people usually cherish their WordCamps being “local” related to the whole country, or even language-focussed. A WordCamp Switzerland, on the other hand, simply wouldn’t have happened if they wouldn’t have extended the local context altogether having the whole event in English and invited speakers from abroad. Am I mistaken when I assume the definition for WordCamps being locally-focussed partly derived from the ambition to keep WordCamps down-to-earth community events? Or in other words: avoid “conferencialization”? Whether or not that’s true, we’ll either need to address possible contexts of “local” other than “city-focussed”, or we’ll need to commit to the city-focussed approach and accept the possible consequence that WordCamps will become smaller scaled, meetup-like events in many places around the globe.